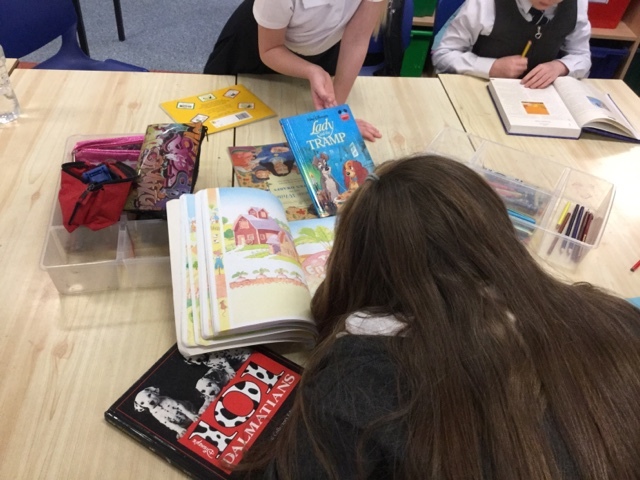 Today we had a visit from Andy who works for the Scottish SPCCA. 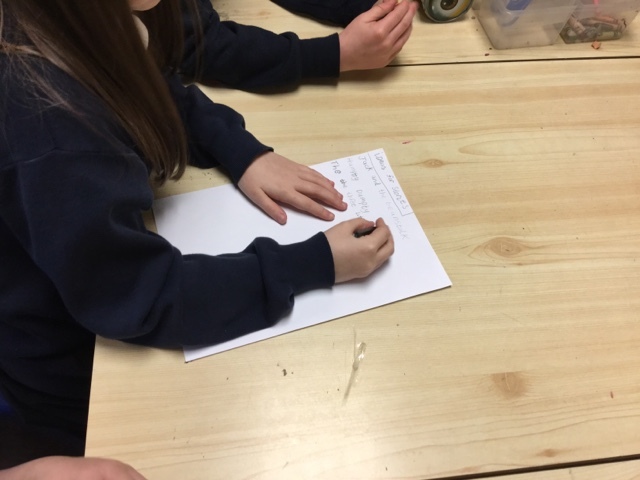 He came to tell us about what his job is and how we can help animals. 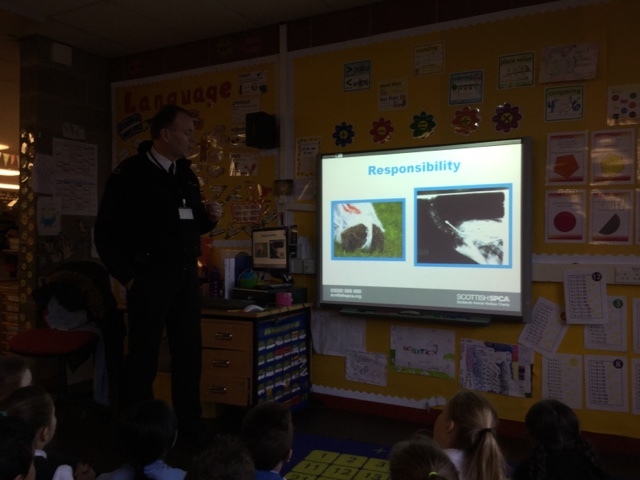 Andy is like an animal police officer, he told us about some of the animals he has rescued. 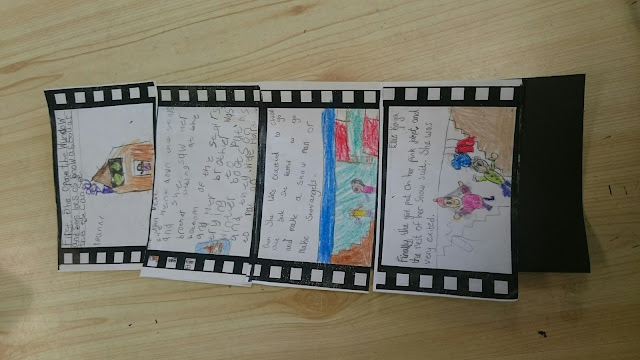 Some of the stories were really sad but they all had a happy ending because they found a nice new home. We can help him with his job by being responsible and not dropping litter, putting our football goals away and closing gates when we are walking in the fields. This will help look after animals. 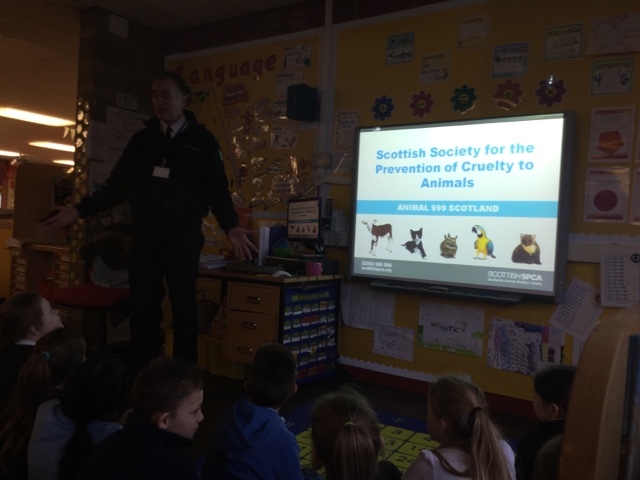 Thank you Scottish SPCA for coming in to talk to us today. 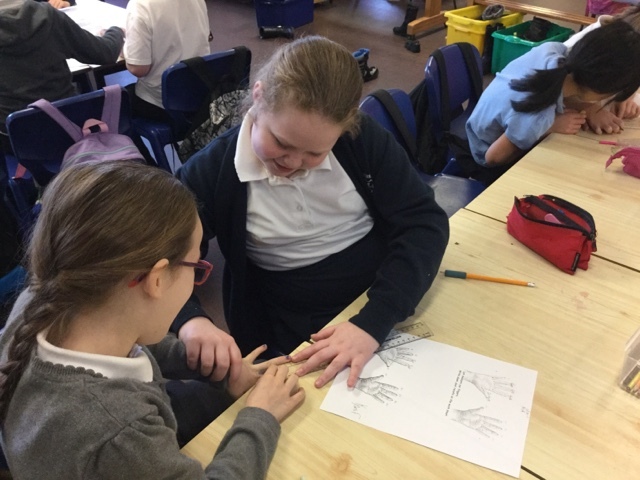 Is the length of all someone's fingers the same as the length of one of their arms? 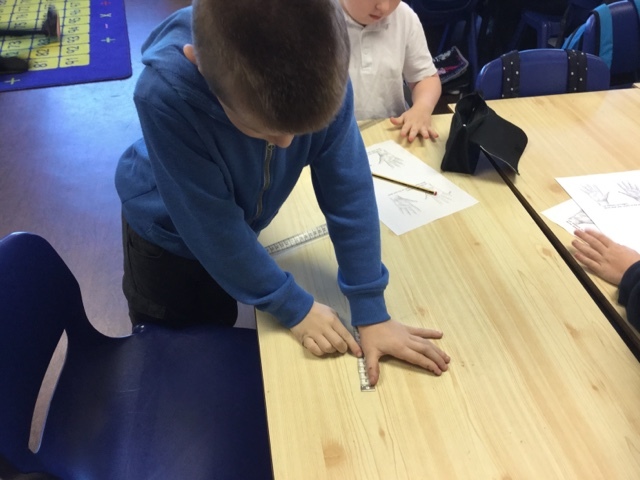 Our measuring challenge today was to investigate if the length of all of our fingers is the same length as one of our arms. The whole class thought that it was false to start with . 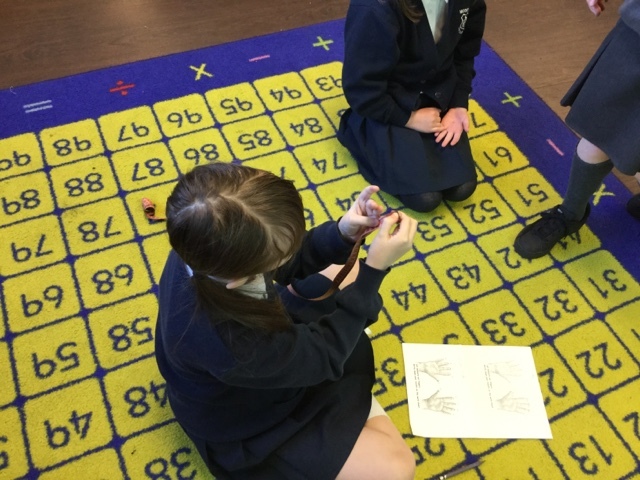 So we measured all of fingers and added the lengths to find the total. 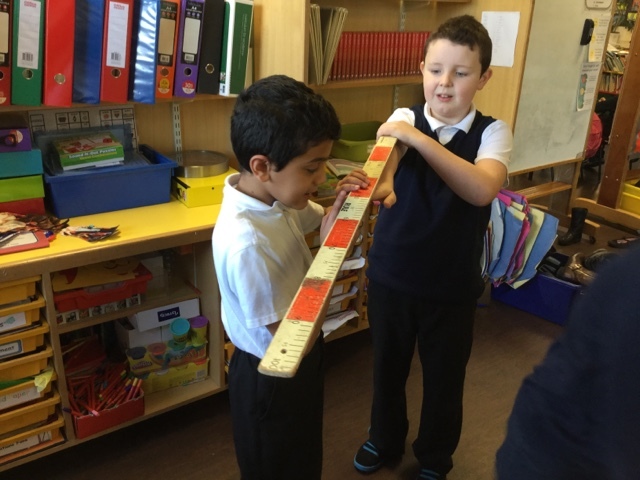 Next we measured the length of our arms and compared our answers. 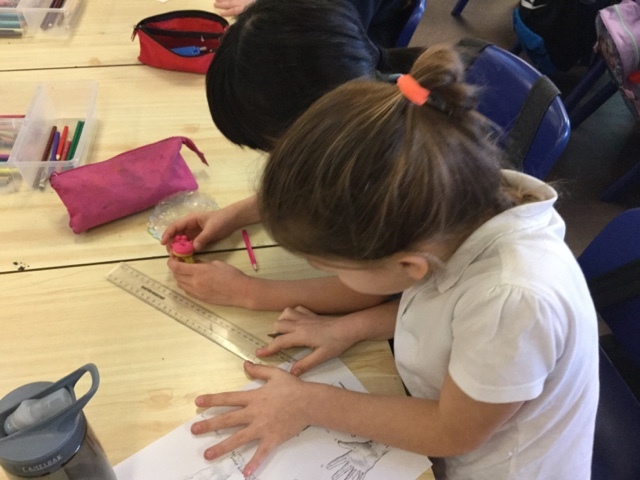 This term we are going to design and make our very own puppets. 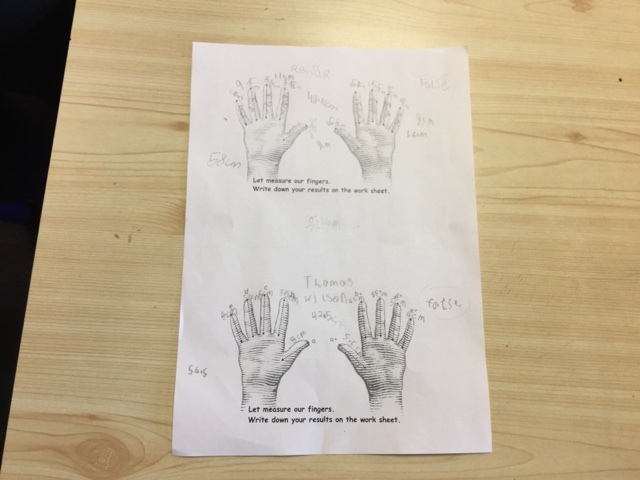 After a class discussion we voted on making our puppets based on the novel The Selfish Crocodile by Faustin Charles and Michael Terry. 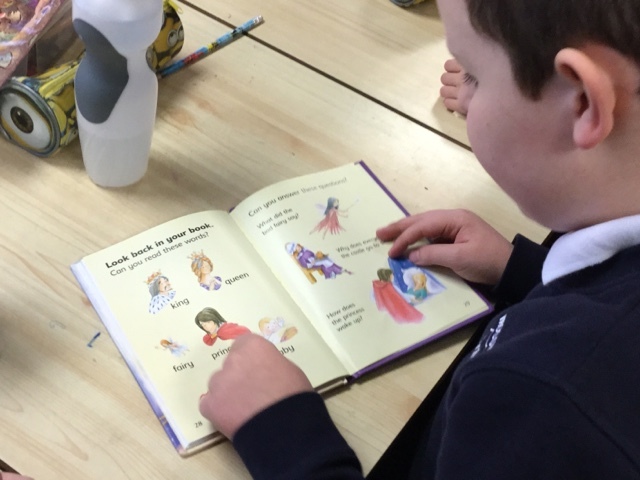 We are going to make shadow puppets and finger puppets based on this novel. 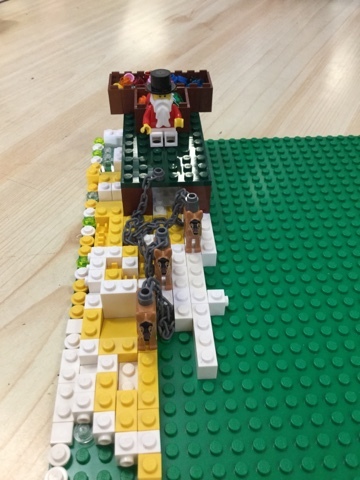 We used Lego to design a Christmas scene from the poem 'Twas the night before Christmas ' . 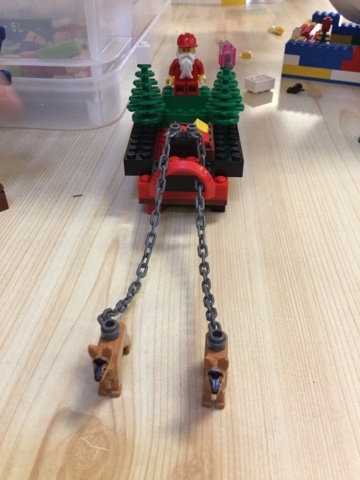 Some of us designed a new sleigh for Santa; a work shop and even a jail for the naughty elves!! 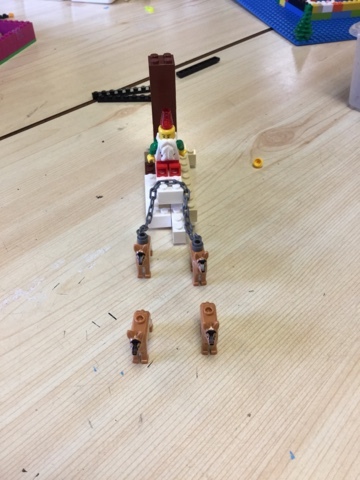 Today we were asked to design a wheelchair using Lego. 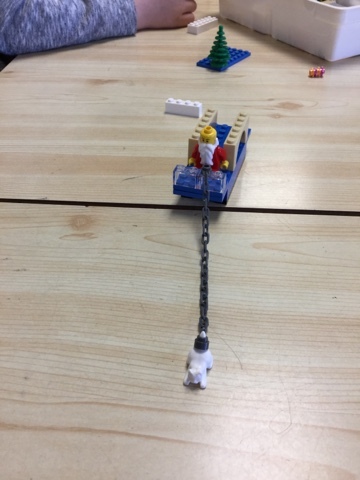 We could add our own special features like flames, rocket boosters and even wings!! 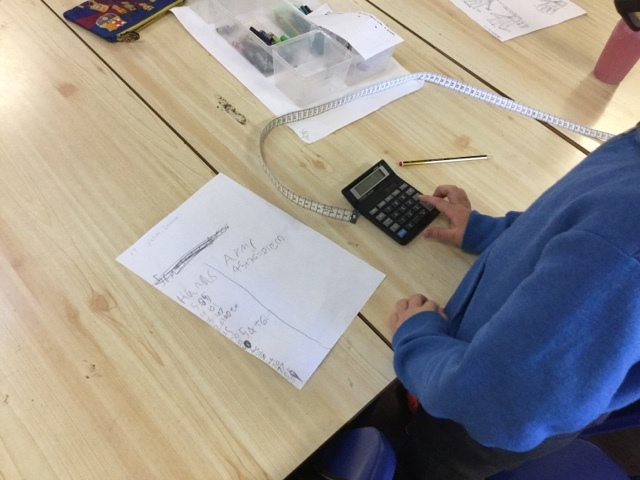 Have a look at our results! We looked at what happened first, then, next and finally. The class all had their own section of the story to summarise. What do you think of our work?? We have been busy little elves making our Christmas stockings! It was really hard sewing the stocking together and some of us ended up in a big knot. Look out for photos of the finished stocking.